GENERAL INFORMATION This region is located north of the Arctic Circle and the tree line. 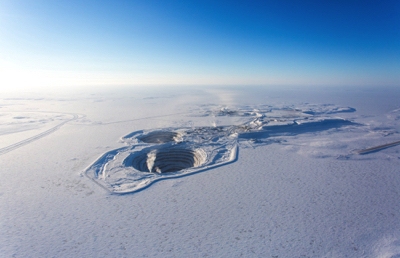 Short, cool summers and long, cold winters help to maintain permafrost on the land. 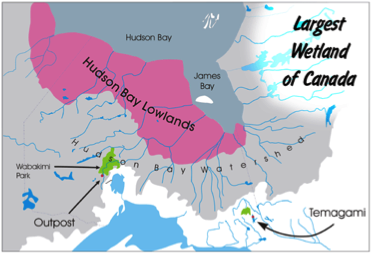 The southern part of this area has small hills; the northern part has mountains, glaciers, plains, and islands. Very little vegetation grows in this area. Oil, gas, lead, zinc, and silver can be found in this region. 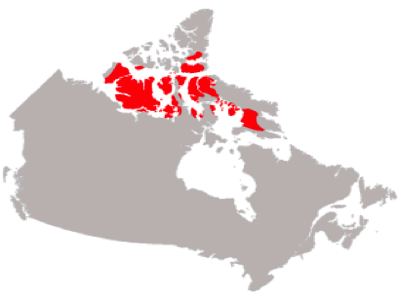 The Arctic Region is contains the Yukon, Northwest Territories, Nunavut, parts of Northern Quebec and the most northern parts of Labrador and Newfoundland. Many people think that the Arctic Region is only Nunavut, the Yukon and Northwest Territories when really, the Arctic is everything that is north of the 60 N parallel (latitude). This is a very unique and beautiful region. First of all, the Northern Landscape is a combination (mix) of the Cordillera, Plains and the Great Canadian Shield. Remember when you are studying the North to include the main features found in these 3 regions and apply them to this region. North of the tree line is a land of harsh beauty. During the short summer, when daylight is nearly continuous and a profusion of flowers blooms on the tundra, the temperature can reach 30°C. Yet the winters are long, bitterly cold, dark and unforgiving. 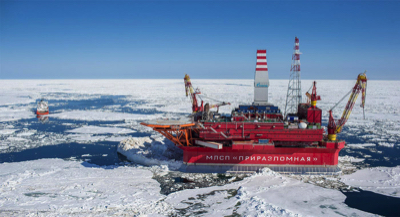 The Arctic is no longer an inaccessible frontier. Inuvik, in the Mackenzie Delta, can be reached by road, and every community is served by air. Most have electricity, stores and health services. North of the mainland is a maze of islands separated by convoluted straits and sounds, the most famous of which link together to form the fabled Northwest Passage, the route to the Orient sought by so many early explorers. 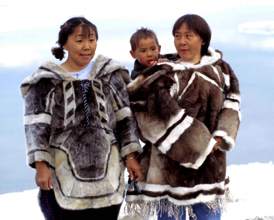 Reflecting a growing autonomy, the Inuit (formerly known as Eskimos) are gradually changing place names into their language, Inuktitut. For example, the people of Frobisher Bay on Baffin Island, Nunavut, decided to rename their community Iqualuit, which means "place of fish." Secondly , this is the only landscape where there is permafrost (the ground is frozen all year). In the summer the top layer of the landscape (a few centimeters) may thaw and this often forms lakes or swamps . The permafrost directly effects the types of housing or shelter and transportation. 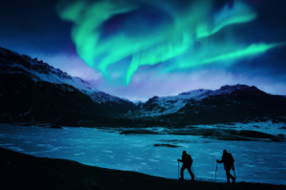 Thirdly icecaps or glaciers, fjords, barren tundra, pingos (huge mounds of solid ice) treeline, northern lights (aurora borealis) and the polar ice pack (permanently frozen sea ice) are just a few of the unique features found in this landscape. Fourthly, the unique tilt of our Earth's axis gives this region 6 months of constant sunlight and then 6 months of continual darkness. It would be very confusing to look at clock during the summer months. It would read midnight but the sun would still be shinning. How would this climate affect people in the North? How would it affect the structure of their shelters?? And lastly, because of the unique landscape and climate conditions (extremely cold in the winter months) this area of Canada has the lowest human population in Canada. As in the Interior Plains and the Cordillera, the majority of the people will live where the land is level and /or where there is a water source nearby. Water is a source of food, communication, recreation as well as transportation. Other sources of transportations will include the use of trains, trucks, boats, snowmobiles, small airplanes and even dog sleds! 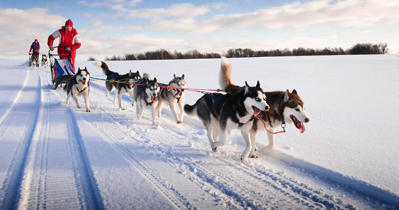 Traveling by dogsled would be so COOL!!! As more and more people move up to this beautiful region of Canada the more varied its economy becomes. More people moving in means more jobs. The strong influences of the oil and gas industry is evident in the surroundings on land and in the water (Huge off shore drilling rigs may be found off our coastal regions). Hunting, trapping and fishing are also crucial to the Northern population as well as other Canadians. Since the Cordillera and the Canadian Shield are also 2 regions found in the North, remember these are rocks and we always mine our rocks to produce useful minerals which we use in our everyday life. In the north, zinc, lead, diamonds and gold are some of the minerals that we find. This region of Canada celebrates the beauty of our aboriginal cultures (Past and Present). The Aboriginal people show us the elegance and extreme harshness of this northern landscape in their celebration of the arts. This regions diversity, uniqueness and water formations strengthen our Canadian economy.